Armor All Premium Wash and Wax Plus Protect 48 Oz. Your wash must not only clean and shine, but also help protect from water spots & marks. 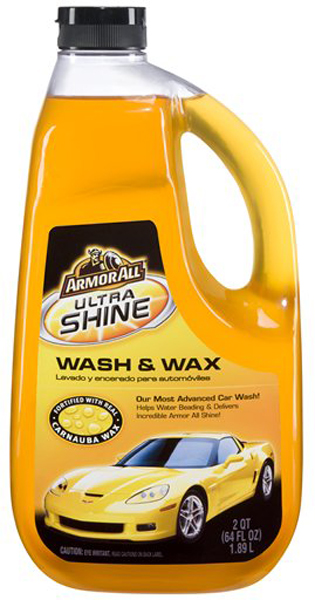 Armor All Ultra Shine Wash and Wax 64 Oz. Ultra Shine Wash & Wax was developed using the most advanced technologies available. Our proprietary blend of cleaning agents, surface lubricants, and real carnauba wax is absolutely guaranteed to meet the most exacting standards.